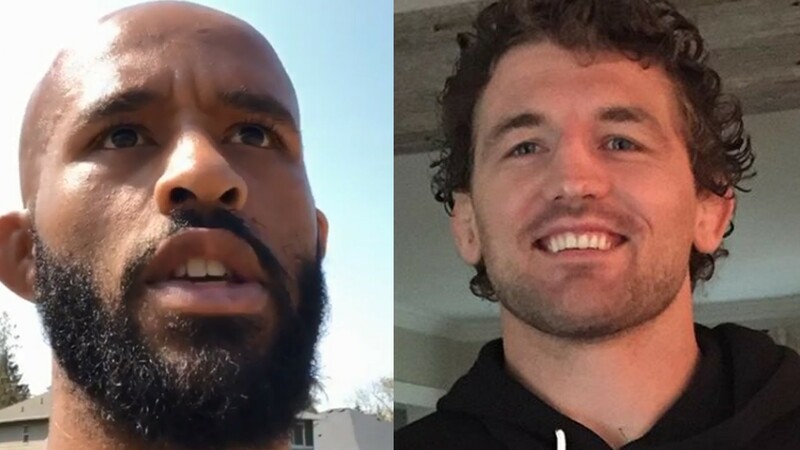 Home MMA News UFC Got An Offer To Trade Demetrious Johnson For Ben Askren! UFC Got An Offer To Trade Demetrious Johnson For Ben Askren! Ben Askren was so close to signing UFC earlier. Yet, Dana White decided to sign WWE fighter CM Punk instead. “Funky” was very disappointed with White’s excuse, who claimed Askren “needed more experience”. On the other side, White stated that former Bellator champ simply doesn’t want to fight in the UFC. Askren recently replied to the fan that there is 98% he will finally fight in the UFC. On the other side, Demetrious Johnson (27-3-1 MMA, 13-2-1 UFC) is one of the most dominant champions in the history of UFC. He defended UFC Flyweight title 11 times before he was defeated by Henry Cejudo via split decision at UFC 227 on August 4, 2018. Demetrious Johnson opened up in June 2017 about the bullying he was taking from UFC and Dana White over and over. It might be another reason to fight in Asia. There is a chance Henry Cejudo will face TJ Dillashaw in a super fight. It could be another step back for “Mighty Mouse”. What are your thoughts on this trade? Do you think Ben Askren for Demetrious Johnson is a fair trade? Don’t forget “Funky” stated he had a hard time watching how Dana White treats people. He might join Francis Ngannou, Stipe Miocic, and other fighters who had a beef with the famous businessman.